Home > Special Offers > Service & Parts > Save Some Space! 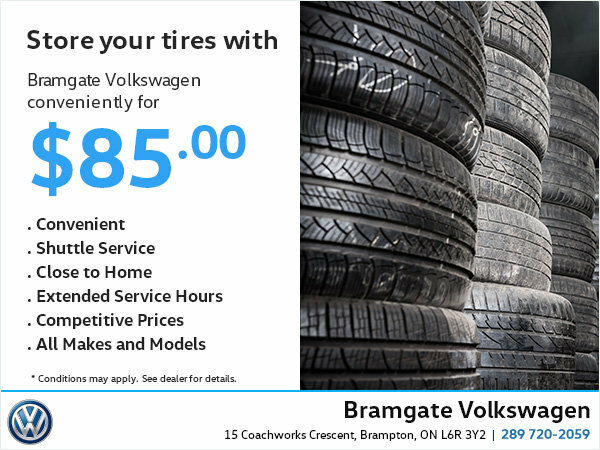 Take advantage of Bramgate Volkswagen's special offer! Store your tires with us for only $85 for 6 months! You'll save a lot of space in your garage or at home. You can even enjoy shuttle services, extended service hours, competitive prices and much more! It's easy and convenient! Store your tire today!